Home promocionales Wendy Ellison Mullen - Stand up! Fight back! Wendy Ellison Mullen - Stand up! Fight back! This band is driven by guitars, with elements of classic rock and a nod to the great protest song tradition. Wendy is also capable of laying it back in a pure ballad. Wendy has been singing and playing guitar all her life. She can move deftly in and out of genres from classic and and blues to punk or folk. She has released five full-length albums and multiple singles. 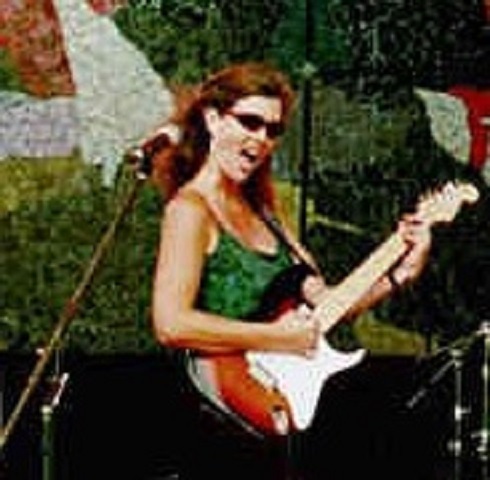 With her blues band, Late Summer Purple, Wendy performed twice at Bumbershoot, the Mother of All Art Festivals. Wendy's songs are supported with profound guitar work by Don Mills of Seattle.
" Stand Up! Fight Back!" is a protest song in the vein of Jefferson Airplane and Crosby, Stills, Nash and Young. Inspried by the Women's March the day after the inauguration, Wendy wrote a blistering anthem that puts you right in the center of the march. Listen, join in the chanting, this song will stay with you.